Bex is a lover of We Love Colors. She has sent us some pics of herself wearing our tights and looking fab. The first outfit she has on is a school girl look. 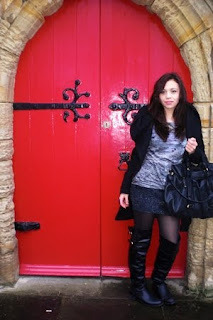 In the second picture she is in front a beautiful red door. You look great Bex!